I had the privilege to guest post over at “Me Too Moments for Moms” this week. 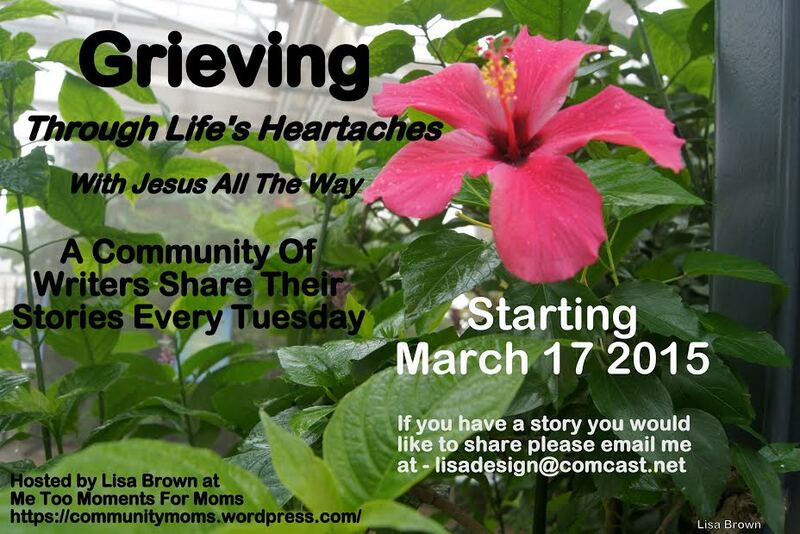 Lisa is kicking off a series entitled “Grieving Well with Jesus” beginning March 17! I will be posting those over here on Thursdays, so be on the look out for some great encouragement! Click here to hop on over to Lisa’s place!